The advanced workshop was launched on November 9 and 10, 2018 on contractual and non-contractual mechanisms for the promotion of human rights and how to write reports on these rights. 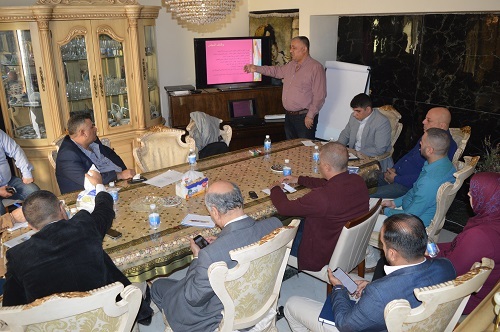 It is the third version of training workshops held by Hammurabi Human Rights Organization in its headquarters in Baghdad. 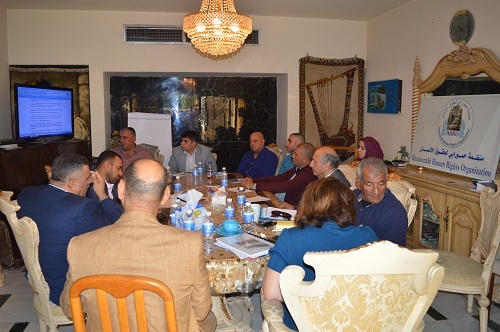 The first was on 19/10/2018 and the second on 2/11/2018 which comes the content of these workshops in the framework of raising the capabilities and skills of members of the Organization in the use of human rights tools to monitor, document and improve the reality of human rights and the basis of the use of these means to serve Iraqi people and preserve dignity and promote rights. Mrs. Pascale Warda, Chairwoman of Hammurabi Human Rights Organization, inaugurated the third workshop, noting the importance of knowledge-based awareness of the principles and mechanisms that serve human rights issues, stressing the importance of benefiting from the expertise and professionalism of Dr. Mohammed Al-Obaidi for his large knowledge balance in this regard. 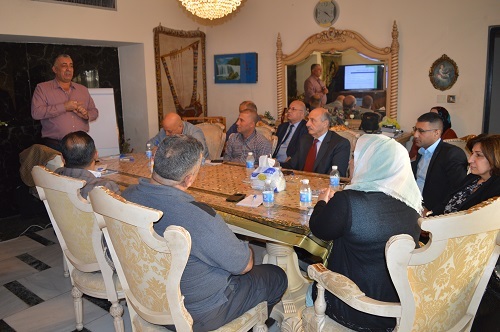 And then began the workshop where Dr.Al- Obaidi focused on the human rights system at the United Nations, discussing the definitions of these systems and referring to the fact that no country can live apart from other countries and summarizes the work done by this organization based on what it was adopted by the League of Nations, which was established in 1920 on peace, security and the protection of minorities. 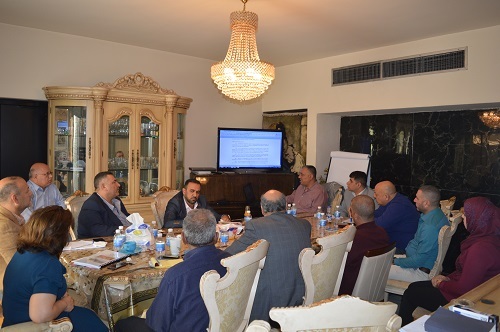 Dr. Al-Obaidi also addressed the tasks and mechanisms of human rights in the preparation of the preparatory and executive procedures for the work of the Human Rights Council in its subcommittees, which prepare reports in the light of the reports and information sent by the relevant human rights bodies in the countries. 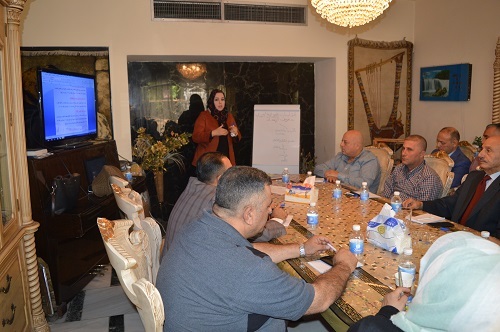 In the same context, the active trainer Mona Ibrahim Al-Jubouri took another aspect of this international human rights file, reviewing some of the mechanisms adopted in this regard. 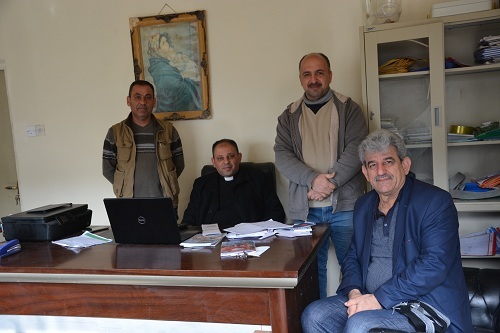 Dr. Al-Obaidi also discussed international mechanisms for the protection of human rights and the extent of commitment, contractual mechanisms and corporate and legal values. The trainer stopped at the indicators of human rights and the evidence of measurement and implementation in addition to the reports of civil organizations pointing that these reports should not be based on the mere accusation of the state in its lack of human rights or that, but should be a mirror for monitoring and reform and not defamation to obtain the rights of victims and return develop effective policies to promote rights within the framework of joint responsibility of government institutions and civil society organizations. 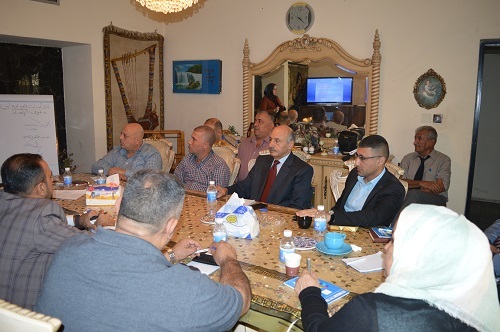 The trainer Dr. Mohamed Al-Obaidi also stopped at UN Resolution no. 1503 and its mandate as one of the most important international legislative decisions on these rights. Among the programs of the workshop, the subject of the reports and what should be based on the contents and the number of pages and the timing of publication. Dr. Al-Obaidi explained the fundamental difference between the main members of the Human Rights Council and those who have the right to vote on the issues and the monitoring members who are only allowed to listen, as well as talk and comment on the issues, but less than the time limits allocated to the conversations of the main members. 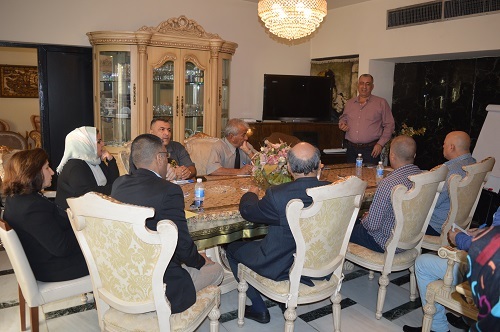 The program also included a varied presentation of the periodic and annual reports submitted to the Human Rights Council and the vocabulary used in the correspondence, for example, "We urge, encourage, hope, support, consider, appeal and others" of the other words of speech. Another issue that Dr. Al-Obaidi has referred to is the subject of (the Universal Periodic Review). 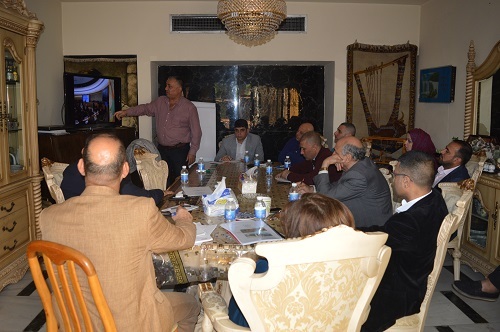 The workshop in its third edition was characterized by a lot of discussions and qualitative additions, as was done in the first and second workshops.